Futuro Caliente is an ongoing project that responds to the climate change crisis, initiated in 2014 by La Junta, an organization based in Lima founded by Teresa Borasino, Elisenda Estrems and Maricel Delgado. 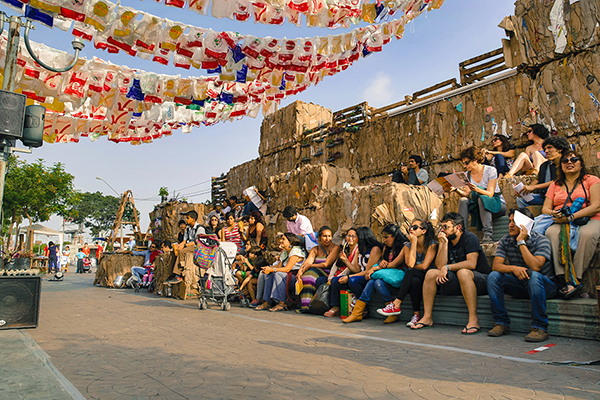 During COP20 in Lima, Futuro Caliente took the form of an art festival that brought the climate debate into the public sphere. 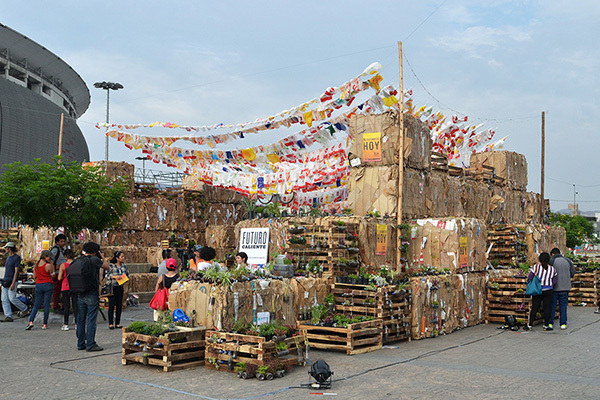 For four days, the public space was reclaimed and transformed into a space of dialogue and exchange among citizens, negotiators, activists, climate change specialists, entrepreneurs and artists. 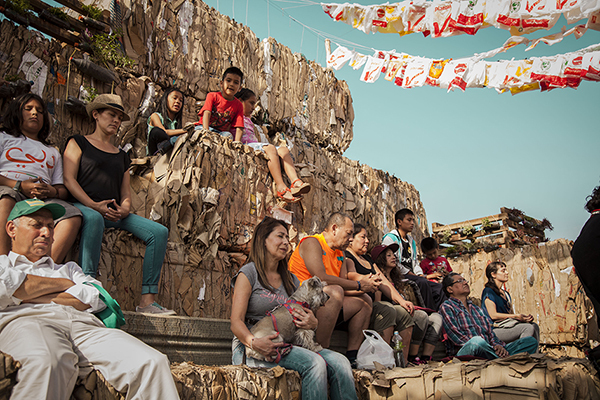 The main intervention, Public Forum, consisted of an open auditorium space entirely built with waste (paper, cardboard, plastic bags, and timber), that hosted a program of conversations and workshops. This project has been realized with the generous support of Arts Collaboratory, IUCN - Commission on Ecosystem Management, and the Delegation of the European Union to Peru.